We visited Amsterdam for a very specific reason and that was to Ed Sheeran. We'd tried for hours to get tickets to any UK venue but it just wasn't happening so when we found tickets for Amsterdam that were cheaper and readily available we dived right in and decided to make a weekend of it. We flew from our local airport that is just 20 minutes away and we stayed at NH Museum Quarter. The hotel was in the perfect location, just a five minute walk from the beautiful Museum quarter and we were lucky enough to have a room with a canal view. The rooms were light and spacious and thankfully offered guest controlled air conditioning as we stayed during the summer heatwave. As we our primary reason for our trip was to see Ed Sheeran we didn't get chance to do as much as we'd hoped. Ideally we'd have loved to have enjoyed all the museums but if you've only got time for one then make it the MOCO. 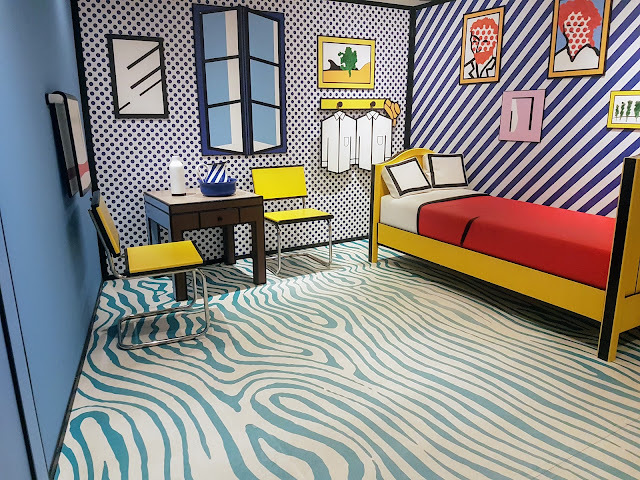 This place is a hidden gem among the big, bold offerings of the museum quarter. It's situated in a architecturally stunning, traditional house and though a little cramped it is a delight to explore. 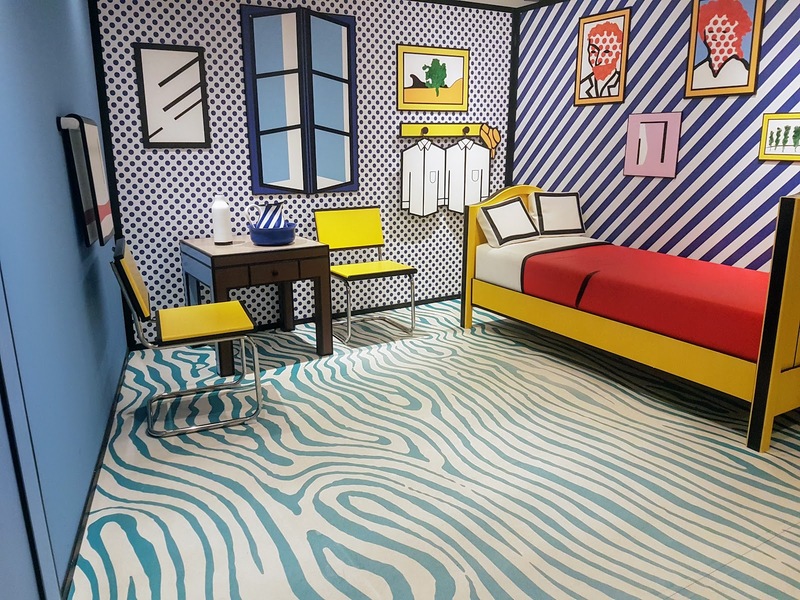 During our visit the predominant art was that of Banksy, Icy and Sot and this fabulous installation of Lichtenstein's work- no that isn't a painting, it's an actual room that you can enter, sit on the bed and literally pull up a chair! Not only were we time poor during our visit but we were also cash poor. We wanted to enjoy our time as cheaply as possible and that was how we discovered the amazing value Rock The City Tour. This encompasses two must visit attractions along with an informative 45 minute canal tour. We headed to the A'DAM Lookout first and had a leisurely lunch then headed to the dock for our canal cruise that we'd pre-booked for 1.30pm. To make the most of your visit you need to be at the Lookout at least 2 hours before your cruise time to enable you to have chance to fully explore the Lookout. 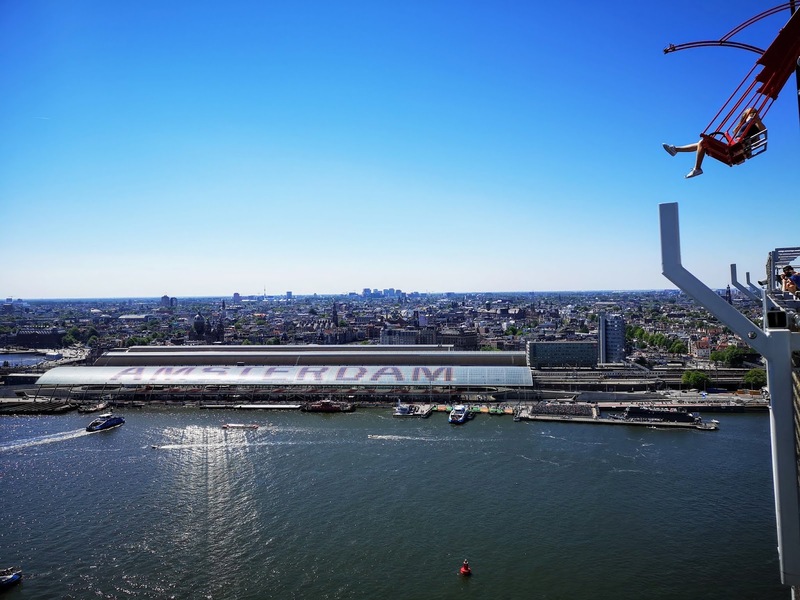 The views from the A'DAM Lookout are outstanding. The signage is one of the best I've seen at an attraction like this. They explain what you can see and gives you visual representations of what the view would have been like in years gone by. The food is good, though a tad expensive but that's to be expected at an attraction like this. The staff are super friendly and the lift ride is lots of fun and yes you can ride on that swing and at just 5 euro it's surprisingly cheap but no I didn't fancy swinging off the edge of a very tall building! Once you've explored the A'DAM Lookout you need to head to the dock, this is located just outside the main reception to the Lookout but staff will happily direct you if you ask. Here you climb aboard a quaint, Heineken branded boat which takes you on a leisurely cruise up to the Heineken experience. Our tour guide was both informative and entertaining. The boat has a small array of drinks for sale and a minuscule outdoor seating area which is quickly filled. We sat inside and with the windows open we were more than comfortable (more comfortable than the boat looks!). The boat docks just outside the Heineken experience and as you depart you get handed a small souvenir and it's this attention to detail that wins me over. The Heineken experience is worth visiting. It has a good mix of talks, hands on experiences and games to play. There were parts I thought would be amazing that were lacking but on the whole it was a fun way to spend an afternoon and there is no compromise on alcohol if you book via the Rock The City Tour. You still receive the same amount of allocated 'free drinks' that you would get if you booked individual tickets. At the time of our visit Rock The City tour tickets cost around £50 each which sounds a lot but you get a lot for your money and if you don't have much time it's an affordable way to experience some of Amsterdam's highlights throughout the course of a day. A nice little extra as we headed to the A'DAM Lookout was stumbling across the Docking Station- the smallest workspace in Amsterdam. It's a fascinating photography initiative. Each 'docker' inhabits the dock for a set amount of time. Living and working in this small box. Sadly we visited on changeover day so no one was actually inside but a fascinating concept nonetheless. A little further down the bank was the Wasteland exhibit. A free exhibition that explores the impact of waste and examines waste management systems from across several major cities. It was really interesting and definitely gave us plenty to think about. The walk to the Lookout also provided us with the opportunity to visit Centraal Station, something i'd definitely recommend as the architecture is superb and there are some nice little shops and places to eat dotted around the dockside. I don't really like to be negative but the one place I would urge you not to visit is the Amsterdam Ice Bar. The staff on the door are incredibly rude, requiring you to arrive 15 minutes prior to your time slot but not stating this anywhere on the tickets. If you try to arrive on time you will be turned away and asked to wait to see if there is room on the next time slot- which there always is as the next lot of people don't know to be there 15 minutes prior. It's a poorly run place, the coats they provide are smelly and damp and though the inclusive drinks are plentiful and nice tasting you won't enjoy them in the lounge as the theatrical pirate themed intro repeats every 15 minutes. 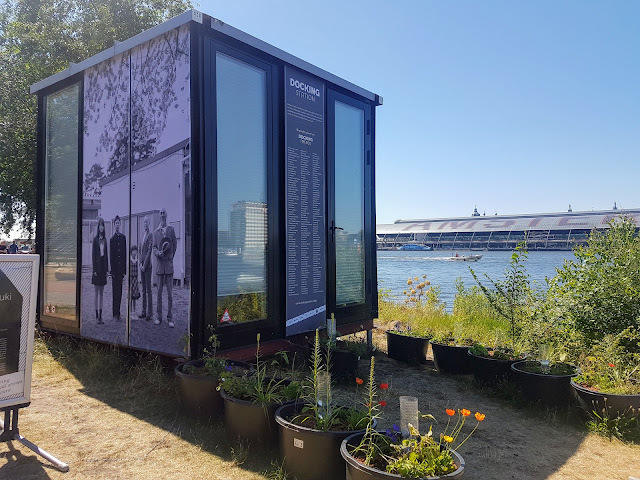 Obviously one of Amsterdam's main attractions is the Anne Frank House and it was top of the list of places we wanted to visit. It's important that you know that YOU MUST BOOK ONLINE IN ADVANCE and that you must do that well before your trip. We tried to get tickets but the dates we were going were unavailable and the closest ones were about a month after our trip. We weren't aware that a set number are released for sale on the day itself but are only available online and sell out very quickly. With a little research we could have made it happen, so if it's somewhere you want to visit then plan ahead! Like most tourist cities Amsterdam has a great transport network and we found it really easy to get around. The tram system was particularly good as you got to see the sights whilst travelling but in all honesty Amsterdam is best explored on foot. We walked miles and miles during our short visit. An area I would recommend is the Jordaan district. It is full of boutique shops, eateries and coffee shops. Meandering around here on a warm summers day was bliss. As expected we walked around the Red Light District. I found it quite upsetting to be honest. 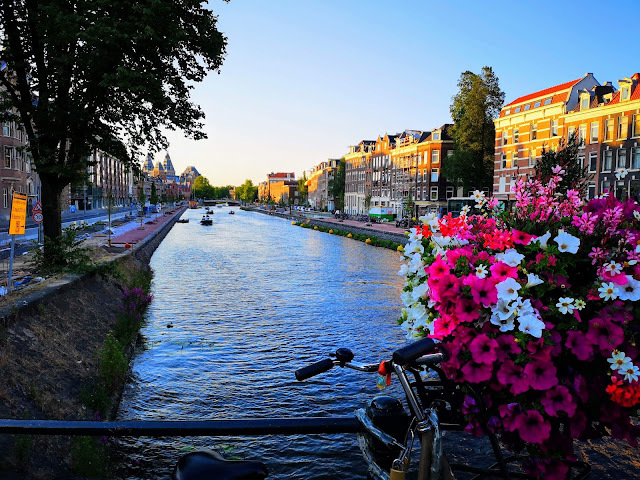 I wouldn't go to the area again and it makes me sad that some people only see that side of Amsterdam as the city is so incredibly beautiful and full of culture, history and architecture. If you are in the vicinity of the museum quarter then walking to Vondelpark is a matter of minutes. We headed here when we arrived and just sat admiring the scenery (and distinct aromas) of Amsterdam. If we were in Amsterdam for longer we would have spent more time exploring what the park has to offer. Just through Centraal station and located in a glorious spot on the dockside is Pancakes. A lovely spot to sit and relax whilst indulging in both sweet and savoury pancakes. I chose the apple crumble pancake and it was divine and filling enough to be a meal in itself. We did eat actual meals as well as sweet treats during our time in Amsterdam and the absolute best place we ate was at Pasta Pasta. . It was a short walk from our hotel so super convenient and the food was delicious and surprisingly really affordable. The service was speedy and the staff more than happy to make recommendations. It was a lovely discovery and a place we will be returning to if we visit the city again. So in our mere 72 hours we walked miles, saw an amazing gig and crammed in some amazing attractions. We will most definitely be returning to this wonderful city to experience even more of what it has to offer.